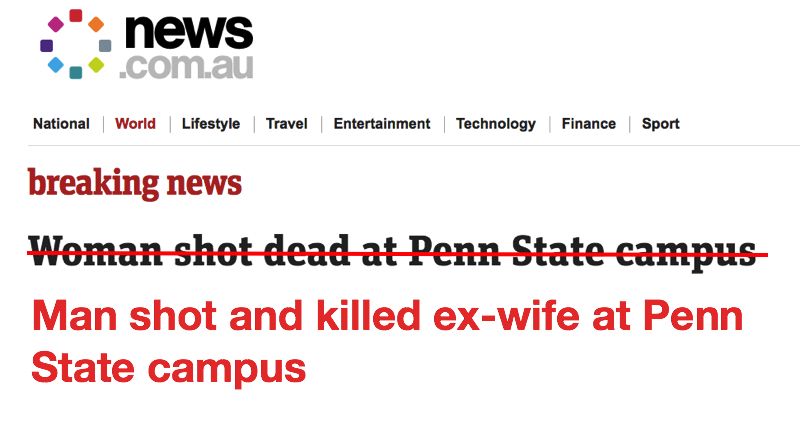 News.com.au reported that a man shot and killed his estranged wife at Penn State campus. The man also killed himself so there won’t be a trial, but police told the media he lured his ex wife out of her workplace and shot her in the car park. But somehow the man who killed a woman he once claimed to love wasn’t in the headline. ← Article: When will Australian politics have its Weinstein moment?